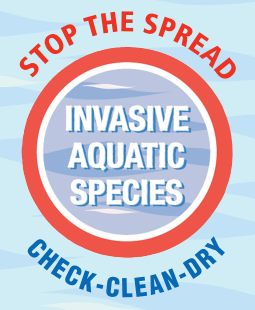 Biosecurity is about reducing the risk of introducing or spreading invasive non-native species (and other harmful organisms such as diseases) in the wild. What are “Invasive Non-Native Species? An invasive non-native species is an organism that has been introduced into this country and has a detrimental effect on the Environment. There are a number of species that specifically affect aquatic habitats and may be spread by anglers amongst others are: the so-called “Killer Shrimp” (Dikerogammarus Villosus), Himalayan Balsam (Impatiens glandulifera), Zebra Mussels (Dreissena polymorpha), Signal Crayfish (Pacifastacus leniusculus). Others that should be reported include American Mink (Mustela vison). For more information see the link at the bottom of the page. Why should OFFC Members be involved? We all love the natural world and need to take every step not to harm it. It is a legal obligation on us all as individuals not to spread non-native species. Doing so can lead to prosecution, a criminal record and a heavy fine. 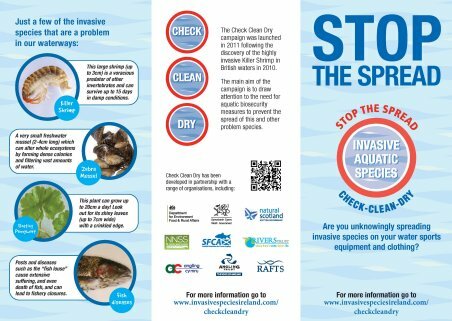 It is part of our obligation to United Utilities that, under our lease, we should do all that we can to reduce the chance that we introduce any non-native species to our waters. Ideally you should keep a separate set of equipment for each water that you fish regularly. But, unless you have an unlimited budget, this is unrealistic for most of us. 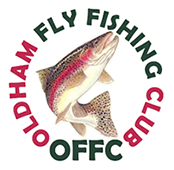 The next best thing is to Check, Clean and Thoroughly Dry your boots/waders, tackle, nets and bass-bags before fishing a different water. If you’ve fished a water where it is known that there are Killer Shrimps (eg Graffham), Cleaning your equipment is particularly important. It is recommended that you immerse your waders in water at 450C for at least 15 minutes. In practice this means running the hot tap until it runs hot then filling a bucket and leaving your boots in it. If you invite a guest to fish one of our waters, then it is your responsibility to ensure that their equipment is clean before they fish. 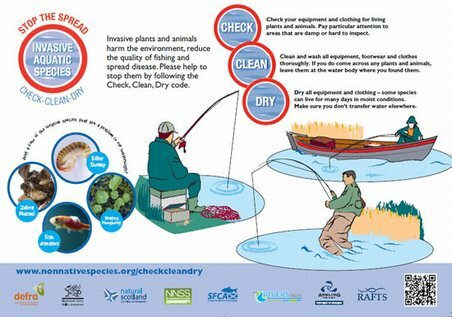 Follow the guidelines set out in the “Check, Clean, Dry” leaflet (you can download it from http://www.nonnativespecies.org/checkcleandry/biosecurity-for-anglers.cfm, and the club website). There is also a poster in the notice board at Piethorne that covers the main points.